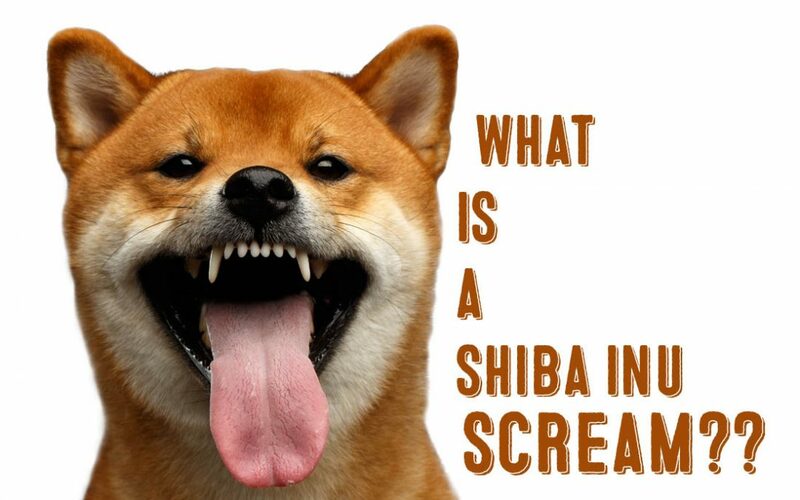 What Is A Shibu Inu Scream? Every dog breed has it's own quirks, talents and unique traits. There's the hot dog looking Dachshunds. The skateboard loving Bulldogs. And of course the Yo Quiero Taco Bell Chihuahua. The Shiba Inu's most famous trait is simply being the adorably cute fox-looking "Doge" dog that has captured the hearts of many on the Internet. This Shiba Inu's other well-known trait is it's Shiba Scream. Shiba Inus are known to be Drama Queen Divas that can emit bloodcurdling Shiba screams at the least bit provocation. The most common provocateur being nail trimming sessions. Typically Shiba Inus are not the most vocal or "yappiest" of dog breeds. They tend to bark or "Shiba scream" only when necessary. In fact, many people confuse Shiba Inus with Basenjis, a similar looking but "barkless" dog. Basenjis don't usually bark but "yodel" instead. However, Shiba Inus WILL let you know when they want to be heard. And they will make sure your hear it. Why Do Shiba Inus Scream? The Shiba Inu is among a few dog breeds considered to be very genetically close to wolves. 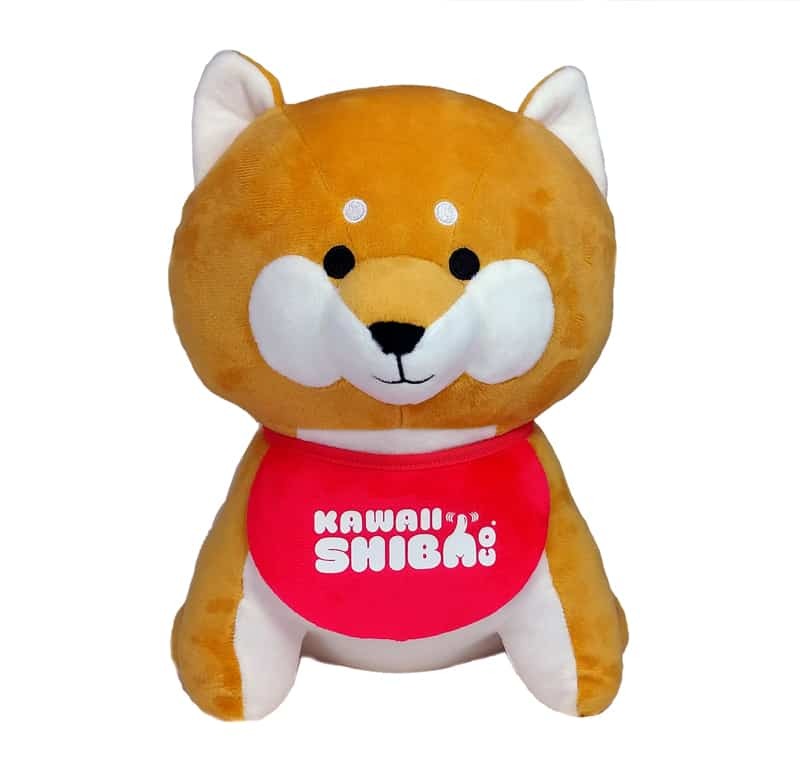 In the past, Shiba Inus were considered to be an "ancient" dog breed but recent research has concluded that Shiba Inus should be considered a basal breed rather than an ancient breed. ​Basal dog breeds still predate modern dog breeds by hundreds, and even thousands of years. 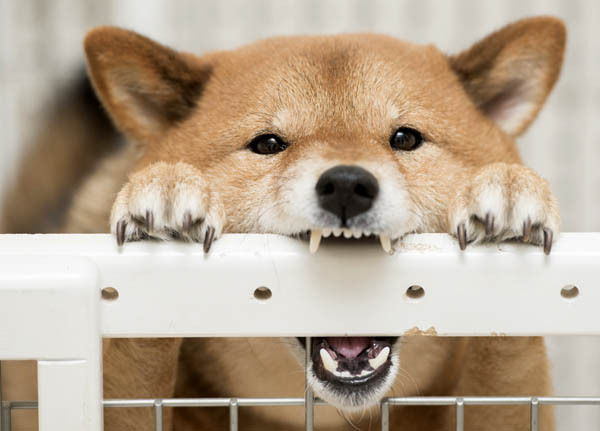 Because Shiba Inus are basal dog breeds that have very close genetic makeup to grey wolves they exhibit much more primitive behavior than modern dog breeds. ​Hence, the Shiba Scream is a sort of unique take on the primitive wolf howl. The Siberian Husky is another wolf like dog that howls just like wolves. ​In fact, many Shiba Inus also howl. And scream. And, yes of course, bark. So you may very well have a Shiba Inu that screams, howls, and barks. In other words - a noisy home. A Shiba scream is a form of communication. The Shiba Inu is using the scream to make sure you can hear this communication LOUD and CLEAR. Usually, Shiba Inus scream when they ​are experiencing fear, anxiety, or just general displeasure. ​The most common culprit of Shiba screams are nail trimming sessions, bathing, and vet visits. Because Shiba Inus are a more primitive dog breed, they don't enjoy excessive handling, especially from strangers. This is the reason Shiba inu puppies should be extensively socialized starting from a young age and throughout their puppy development period. Shiba Inu puppies that are correctly socialized and exposed to various handling procedures rarely have any problems with handling as adults. Socializing and training a young puppy is so much easier than training a mature adult dog - especially with basal breeds such as Shiba Inus. Shiba Inus also scream when they are happy and excited. These happy Shiba screams usually occur when they greet their owners coming home. Sometimes, Shiba Inus communicate by emitting a rambling combination of yelping, light screaming, and mumbling. It's not quite a loud Shiba scream but still very unique and very Shiba. 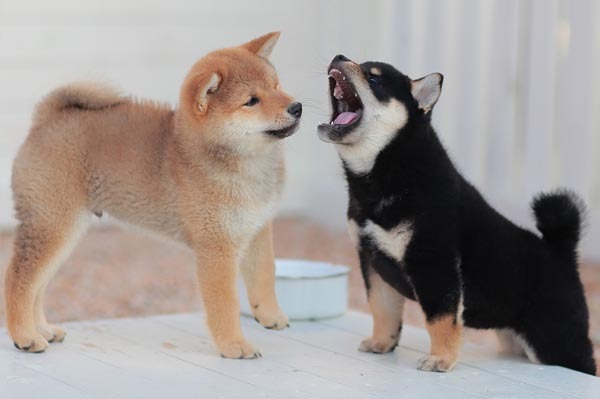 Shiba Inus are known to be "drama queens" and often communicate their displeasure in an exaggerated way - often in the form of a "light" Shiba scream or yelp. ​For example, some Shiba Inus will emit a light Shiba scream simply if you give them the softest of "pinches" or pull on their collar in a way they don't like. ​This sudden, and often high-pitched Shiba scream / yelp is often startling but funny at the same time. Once you experience this for the first time, you will easily understand why Shiba Inus were give the drama queen title. How Do I Stop My Shiba Inu From Screaming? When your Shiba Inu is screaming due to distress you should find methods to calm your stressed Shiba. It is important to stay calm and non-reactive at all times. If your Shiba Inu is distressed due to nail clipping or bathing, try starting with gradual exposure using positive reinforcement techniques. For example, if your Shiba Inu hates nail trimming, start with only brief nail "touching" or nail handling sessions. During the sessions, periodically reward your Shiba with treats. Then, extend the handling / touching sessions longer and longer between treats. Be sure to always be calm, confident and firm with your Shiba. Don't react and try to coddle your Shiba during screaming fits. Also, be careful when trimming your Shiba Inu's nails. Don't trim too much at first - especially if you can't see the quick of the nail. If you accidentally hurt your Shiba by clipping the quick, it'll be that much harder to get your Shiba used to nail trimming sessions. It's best to trim just a little of the nail more frequently rather than trimming more of the nail less frequently. Try to make the sessions quick and non-eventful. Be sure to reward your Shiba Inu with praise and treats after each session. ​The Shiba scream is simply an endearing trait of a dog that want's it's happiness or displeasure to be heard. Most of the time, even the loudest of Shiba screams is just a Shiba Inu overreacting. However, excessive screaming or whining could be a sign of an overly anxious Shiba Inu that may need additional behavioral training / guidance. Seek the advice of a dog behavior specialist in these situations. 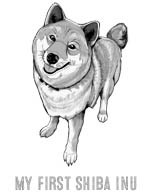 Thanks ​for visiting Myfirstshiba.com! We do our very best in providing our readers with awesome content about our beloved Shiba Inu breed. Some of our articles include reviews and recommendations to our favorite products. We do earn commissions from affiliate links that help support our work and mission. Thanks again for visiting. Shiba Kisses To All! Trending Shiba Inu Fashion – Rain Coats and Bandanas!